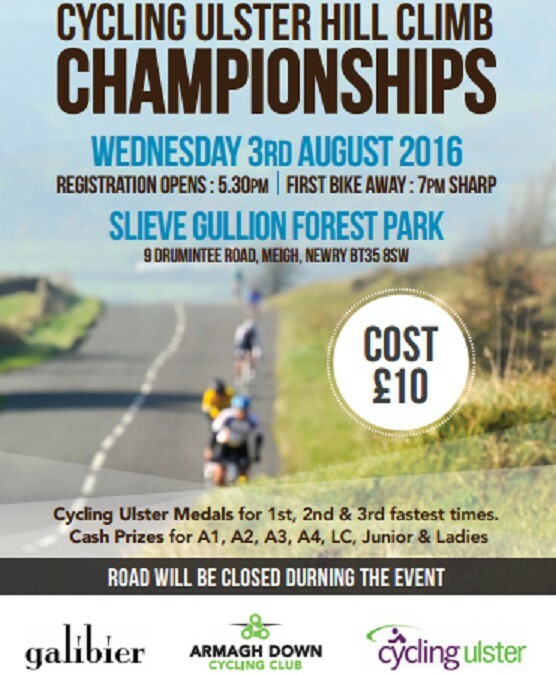 2016 Tour of Omagh details announced. Entries open. Ulster Hill Climb Champs on Closed Roads. The Armagh-Down Club have announced details of the Ulster Hill Climb Championship, which will take place on Wed 3rd August at Slieve Gullion Forest Park. More details are available on the Club`s Facebook page. Sunday 24th July will see Cycling Ireland host a MTB Fest day in Tipperary as a taster to come and try Mountain Biking. Whilst it may be a long way to Tipperary, it is something of interest to those thinking of taking up the sport. McGlinchy triumphs in Foyle GP.